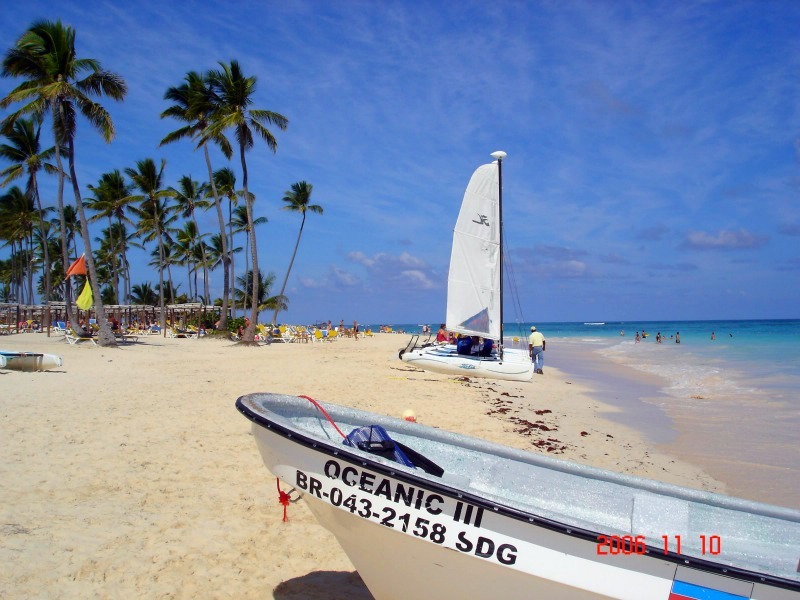 The Ocean Blue Golf and Beach Resort at Punta Cana in the Dominican Republic will leave you planning your next vacation here. I know you’ve come to www.ThreeBestBeaches.com to check out reviews and photos and if you’ve never been to the Dominican Republic and are thinking about Ocean Blue, you’re in for a treat! 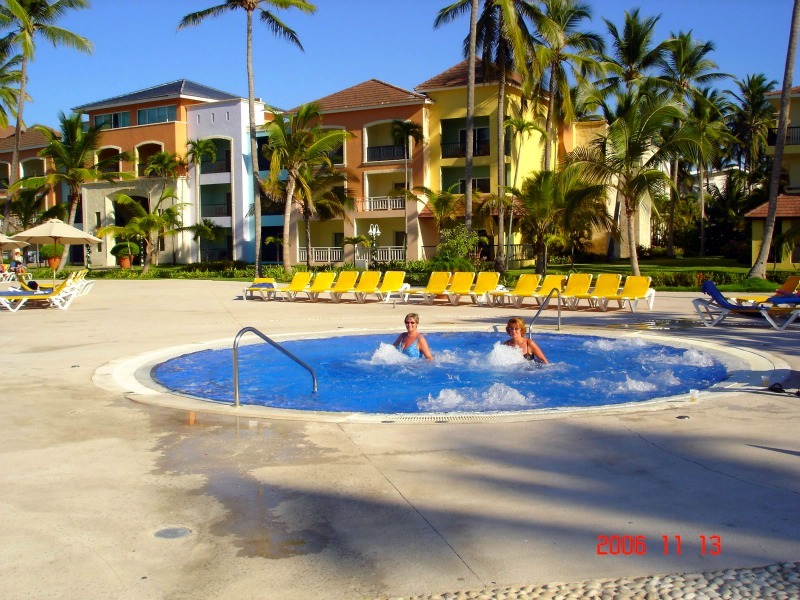 Sitting actually north of the point (Punta), in the town of Bavaro, Ocean Blue Golf & Beach Resort is lined by a couple of other resorts. In fact, from south of the point all the way north just about as far as the eye can see, there are resorts after resorts. But don’t think you’ll be bumping into people; this area is immense. Long ago farmland, mainly for sugar cane (Cana), someone had the foresight to believe people would make the trek from La Romana and even as far west as Santo Domingo to see the stark contrast of the brilliant white beaches and the turquoise Caribbean Sea. It’s here that even though this resort faces front on with a huge ocean, there are reefs about a mile offshore that break the waves and create the havens of sun and sand we see in all the pictures of this area. Golf? Yes! Just behind this and the other surrounding resorts are the golf courses. They are numerous and you can choose before you make your flight. All we can tell you is that as you know, golf courses are subjective – you may like one that I don’t care too much for. 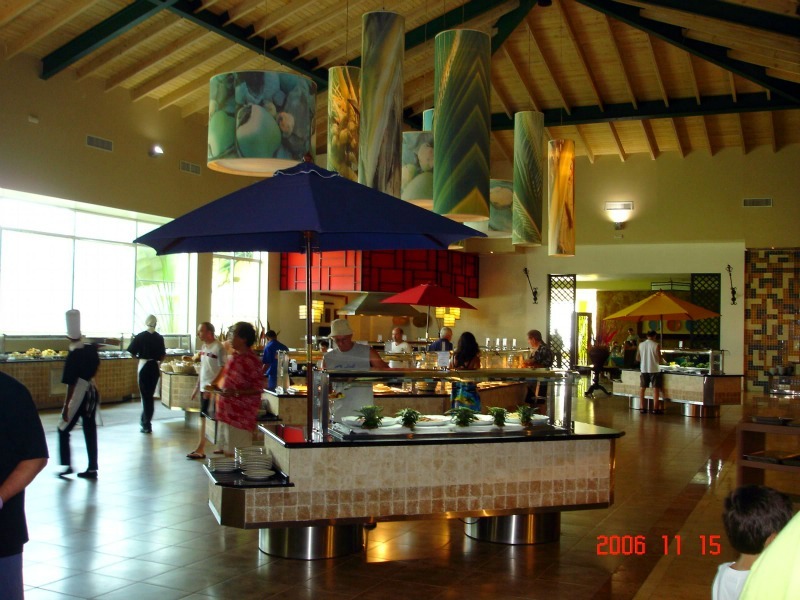 Just know that you will have a few to choose from and do your homework before you leave for the resort. Choose the one you would like to try and when you arrive – ask the concierge to hook you up with the links! The rooms at this resort all look out onto the water and this is done by strategically angling the buildings to point out so when you wake and look out, you see the tranquility of yet another Dominican Republic morning at the beach. One side of this resort as you can see on the map below is called the Ocean Sand and the other, across the pool, is the Ocean Blue. While here, expect a gentle Caribbean breeze that will keep you refreshed…and that’s not just resort talk. The tradewinds actually do cool you down and make you forget you’re in the Caribbean sun – so make sure you don’t forget your sunscreen. This resort was planned with luxury in mind. All rooms are considered 5 Star suites. There has been some debate on whether this is rated by an outside organization or if the resort took it upon themselves to bestow that rating. Nonetheless, you will be pampered and we can practically guarantee you’ll forget you have a home elsewhere. Let’s talk BEACH! Here at www.ThreeBestBeaches.com it only makes sense to take a look at the sand. Well Playa Bavaro as it is called is coral based and made of crushed shell – probably not super powder if you’re into that – but fine and fun to walk on. In fact, you can walk along the beach for miles and miles. 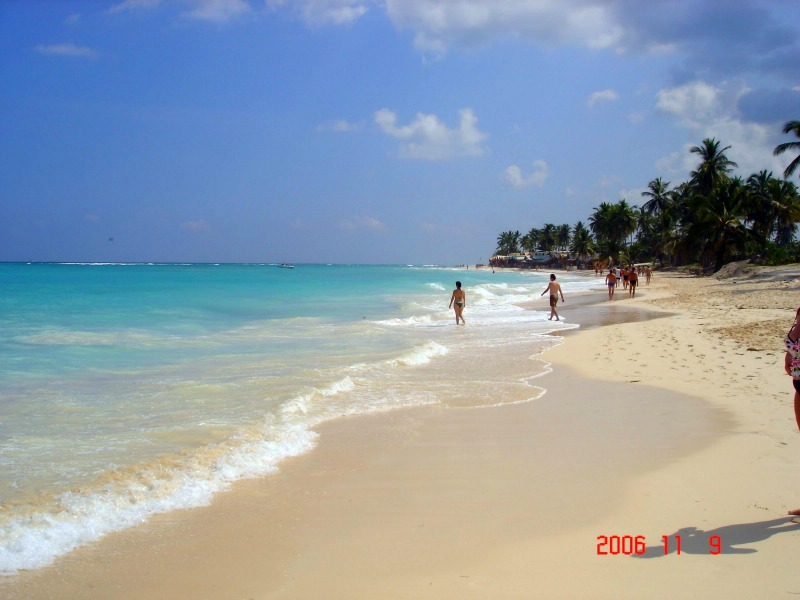 Punta Cana beach front is 42 Km long! To get to the Ocean Blue Golf and Beach Resort, fly straight into PUJ! You can also fly into La Romana or Santo Domingo.